Author's Note: This article is part of an a series examining America's oral health care crisis. Be sure to read the previous article, "States Finally Taking Action to Improve Access to Critical Dental Care." 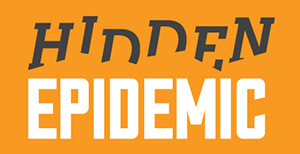 I hope those of you who have been following this series now have an understanding not only of the existence of our country's hidden epidemic but also its causes and effects. Among the reasons for the epidemic are the fact that millions of us live in rural areas or parts of cities where dentists do not practice. Even where there are dentists, only about a third of them accept Medicaid, disadvantaging the poorest among us. Up to 140 million of us, including middle-income individuals and families, lack dental insurance. And even those of us who have insurance often find that it is of little value when we have a serious problem as most policies cover no more than 50 percent of costly procedures. Our oral health is not only dependent on the daily routine of brushing and flossing. Access to providers has the most important impact on our oral health. We should have at least one checkup a year. Every six months is even better. Unfortunately, there are many places and populations in the U.S. that don't have access, and even with best efforts, oral disease is rampant. In a recent national survey, 41 percent of respondents said they or someone in their household had put off dental care in the previous 12 months because of the cost or lack of access. As a consequence, far too many of us wind up in one of the most inappropriate settings for dental care when the pain becomes unbearable--hospital emergency rooms. In 2009 alone, as former Health and Human Services Secretary Louis Sullivan has pointed out, there were 830,000 visits to emergency rooms that could have been prevented. We all pay a price for this. In just one state, Florida, the cost to taxpayers was estimated at $88 million in a recent year. For those most directly affected, the consequences are pain, missed school and work and, all too often because of the connection between oral health and overall health, serious medical conditions later in life. It doesn't have to be this way. In fact, as editorial writers at The Washington Post noted this week, there is a free-market solution that would require no additional spending at the federal, state and local levels. That solution is to allow mid-level "dental therapists" to provide basic services throughout the U.S., from education and preventive care to filling cavities and other restorative procedures, as they can now do in three places: Minnesota, Maine and in the tribal villages of Alaska. Many states are considering legislation to license dental therapists, but progress has been slow because of intense opposition from some organized dental groups. This despite the fact that mid-levels have been providing safe and cost-effective dental care to people in at least 50 other countries for many years. 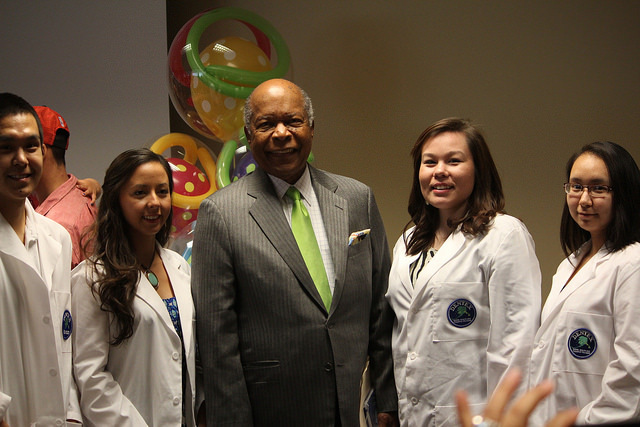 Former Health and Human Services Secretary Louis Sullivan traveled to Anchorage to commemorate the 10th anniversary of dental health aide therapists practicing in Alaska. Dental therapists got a foothold in the United States when tribal leaders in Alaska were finally able to overcome the decades-long efforts to bar them from practicing here. Because dentists are few and far between in most of Alaska, tooth decay and dental disease had reached crisis proportions a decade ago. Looking for solutions, the Alaska Native Tribal Health Consortium (ANTHC) turned to a country 7,000 miles away where mid-level dental therapists have been treating patients for more than 90 years. Because there were no training facilities in the U.S. at the time, the ANTHC in 2003 sent a small group of young people thousands of miles from home to the University of Otago in New Zealand for an intensive two-year training program. They began seeing patients in their home communities and nearby villages when they returned to Alaska. Ten years after those first students completed their training, 27 dental health aide therapists (DHATs) have treated more than 40,000 patients--many of whom had never seen a dentist--in 81 communities across the state. Communities with dental therapists are now seeing cavity-free kids, for the first time since the 1930s. Soon after those first New Zealand-trained dental therapists returned to the U.S., the University of Washington's School of Medicine launched a training program of its own in Anchorage and Bethel. Most of the 27 DHATs now practicing in Alaska are graduates of that program. Last month, five additional students graduated. After spending up to a year working under the direct supervision of a dentist, they will be able to practice in remote villages under indirect or general supervision of a dentist, often through the use of telehealth technology. Where dentists are in short supply--as they are in hundreds of counties in the U.S.--dental therapists can mean the difference between getting affordable care in the appropriate setting and winding up in the ER. While the services they offer is limited, ranging from patient education, screenings and cleanings to fillings and simple extractions, they are well trained and work as part of a broader dental team. When they encounter a patient with a problem that is beyond what they are trained to address, they immediately refer the patient to a dentist. Opposition to dental therapists claims that the quality of care provided by dental therapists within their scope of practice is not up to par with care provided by a dentist, there is no evidence to support that. In fact, as noted by Dr. Terry Batliner, a dentist who serves as Associate Director for the Center for Native Oral Health Research at the University of Colorado, dental therapy students spend as much or more time learning about the services they can provide as prospective dentists do. "Dental therapists graduate with more clinical experience with the procedures that make up their scope of practice than dental students do with those same procedures," he said. In addition, a 2010 independent evaluation of the Alaska dental therapy workforce model showed that dental therapists are providing high-quality dental care and that the patients are overwhelmingly satisfied with their care. Dr. Sullivan, who traveled to Anchorage last month to help commemorate the 10th anniversary of DHATs in Alaska--has become a vocal champion of dental therapy and of improving access to care in general, especially for low-income families and people of color. Having seen firsthand how DHATs practice and serve their communities, he wrote for CNN.com this week that "dental therapists have improved oral health in Alaska dramatically." As I wrote in the first post in this series, I came to understand the magnitude of our country's dental health care crisis a few years ago when I visited a once-a-year, three-day medical "expedition" held at the Wise County, Virginia, fairgrounds, not far from where I grew up. Stan Brock, the founder of Remote Area Medical, (RAM) the organization that hosted the event, told me that between 65 and 70 percent of the men, women and children who come to RAM's U.S. expeditions across the country every year are there primarily for dental care. Aware of the growing crisis--and the fact that, as Dr. Sullivan noted recently on the Diane Rehm Show, the U.S. population has been growing much faster than the supply of dentists--lawmakers in several states have introduced legislation to allow dental therapists to practice. So far, except in Minnesota in 2009 and Maine earlier this year, intensive lobbying by opposing groups have been able to keep the bills from passing. But supporters, including Dr. Sullivan, believe that most if not all states eventually will license dental therapists, just as they do midlevel medical professionals like nurse practitioners and physician assistants. In the next post I will address some of the concerns expressed by some dentists, as well as the other ideas proposed to alleviate the crisis.